Dublin GAA fans will have the novelty of an All-Ireland celebration on a Sunday. DUBLIN’S ALL-IRELAND-winning heroes will be hailed by the county’s GAA fans at a city centre event tomorrow afternoon. 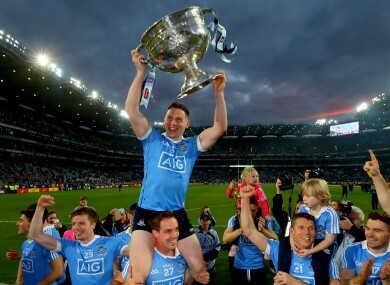 Jim Gavin and his panel will take to the stage at Smithfield at 4.30pm, Dubin City Council have confirmed. The event is family-friendly and alcohol-free, according to organisers. The Smithfield Luas stop may not be serviced between 4.30pm and 8pm. Email “Dublin homecoming set for tomorrow afternoon in Smithfield”. Feedback on “Dublin homecoming set for tomorrow afternoon in Smithfield”.